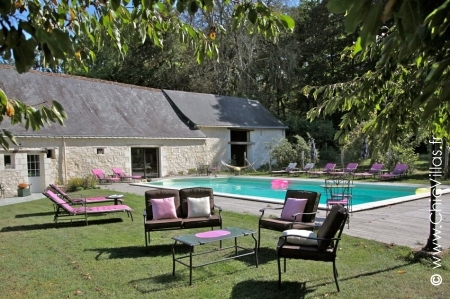 Located next to a forest near Saumur, Le Domaine de Loire comprises several recently refurbished converted barns. 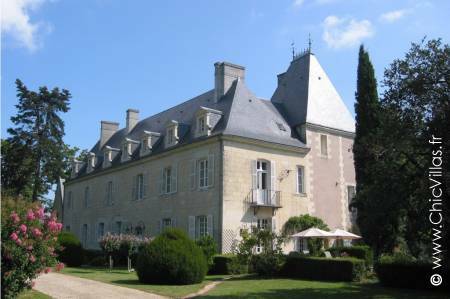 The buildings are made from traditional Loire Valley limestone called tuffeau, and laid out over large grounds next to a forest and flanked by an orchard. The estate has a heated swimming pool which is fenced off so that parents can enjoy peace of mind. 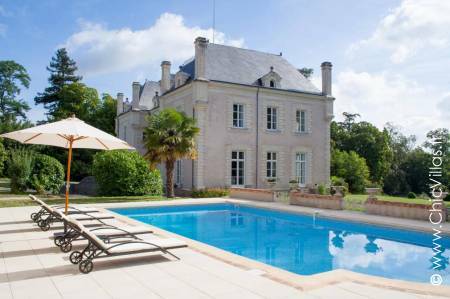 Rent a chateau just 15 minutes from Nantes! Choose Entre Loire et Sevre for a holiday to remember. This fabulous property also has a swimming pool and tennis court. Living is easy at this bright and spacious luxury barn conversion set in the grounds of a castle. Historical architecture, high-end facilities, and sweeping countryside mean that scenery and serenity are guaranteed. 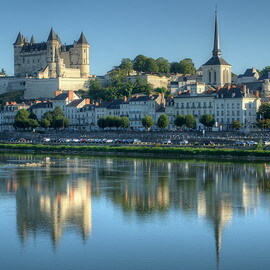 The Loire Valley is one of the most impressive regions of France. Picturesque chateaux such as Chambord, Chenonceau and Amboise trace the region’s history along the Loire valley. Renting a luxury villa or a chateau on the banks of the Loire is the perfect way to explore this region and its royal history. 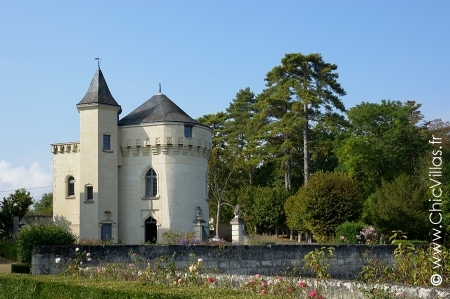 Why not rent a luxury villa on the Loire? 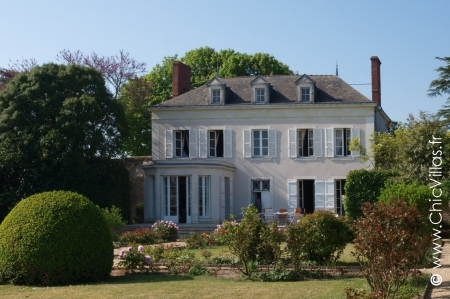 See our selection of French cottages and castles to enjoy a holiday in the garden of France. 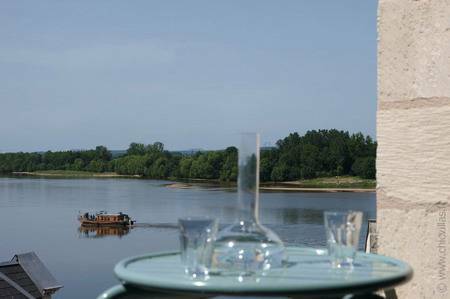 Enjoy stunning views of the Loire from your holiday home. 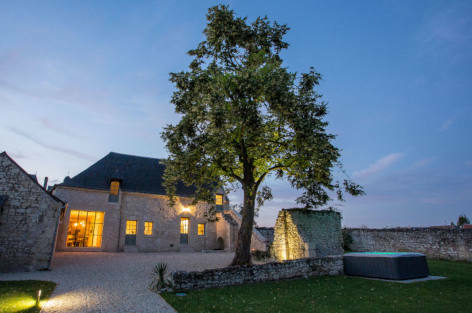 Our Loire Valley properties are tastefully decorated with spacious rooms and are perfectly laid-out for a comfortable stay with family or friends. Our properties have lovely, peaceful gardens and usually have a swimming pool so that you can enjoy the good weather. A holiday cottage on the banks of the Loire is a perfect base for exploring the castles along the Loire river that the region is famous for. Visiting these chateaux will give you a great insight into the history of France. Chateaux such as Chenonceau, Cheverny and Amboise, and the Villandry gardens, all depict very different architectural styles, from fortress to fairytale. Rent a holiday property in the Loire Valley to explore everything this beautiful region has to offer. Visit the vineyards along the wine route and learn about the local grape varieties. No holiday in France would be complete without enjoying food and wine, and you won’t be disappointed in the Loire Valley. Get away from it all at one of our idyllic French properties in Provence and on the Cote d'Azur, or at a luxury villa in Brittany and Normandy.